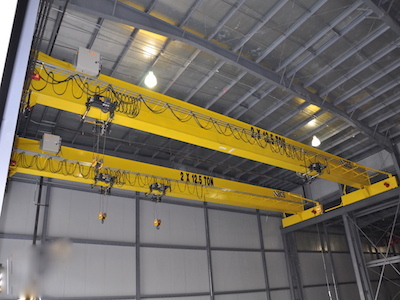 A type of overhead crane, or bridge crane, which consists of single girder runway equipped with a traveling bridge between supported points within a structure. A hoist, the lifting component of a crane, travels along the bridge. 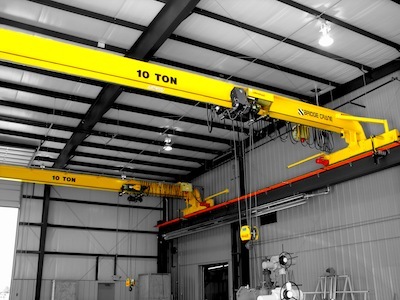 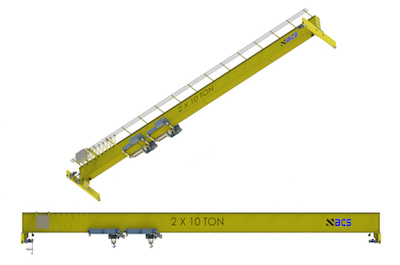 Our Top Running Single Girder Cranes are designed to assist with a wide range of lifting tasks and moving operations which will contribute to your daily productivity and overall success. 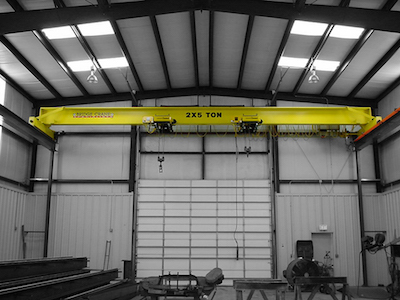 The Top Running Single Girder Crane is fabricated with rolled beams and channels or plate box beams, spans up to 130 feet, and has a 25 ton capacity on a single hoist and 30 ton capacity on a dual (2 x 15 ton) hoist proving to be a powerful and reliable solution for assorted industries while serving multiple applications in a diverse set of environments. 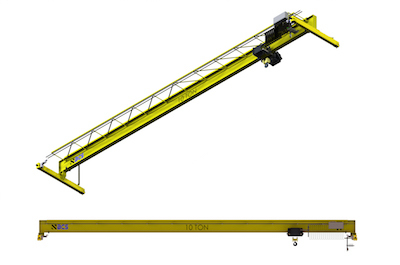 The TRSG Crane can be equipped with close headroom (low headroom) hoist/trolley design to maximize available height (vertical clearance).